Heat oven to 425°F. Spray 12-inch pizza pan with cooking spray. Unroll dough; place in pan. Starting at center, press out dough to edge of pan. Meanwhile, in small bowl, beat oil and garlic with whisk. 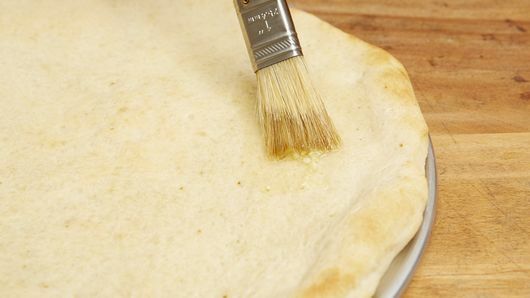 Brush oil mixture on top of partially baked crust. Top with Gruyère cheese. Drop dollops of ricotta cheese by teaspoonfuls on top. 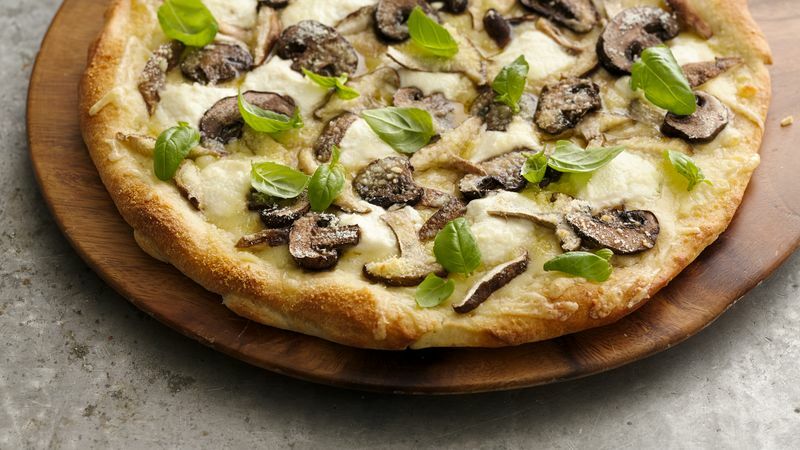 Top with mushrooms; sprinkle with the Parmesan cheese. Bake 10 to 12 minutes longer or until cheese is melted and lightly golden brown. Garnish with fresh basil. Instead of making this pizza in a round pizza pan, try making it in a square instead. Just unroll the dough and go! Bake time may vary.